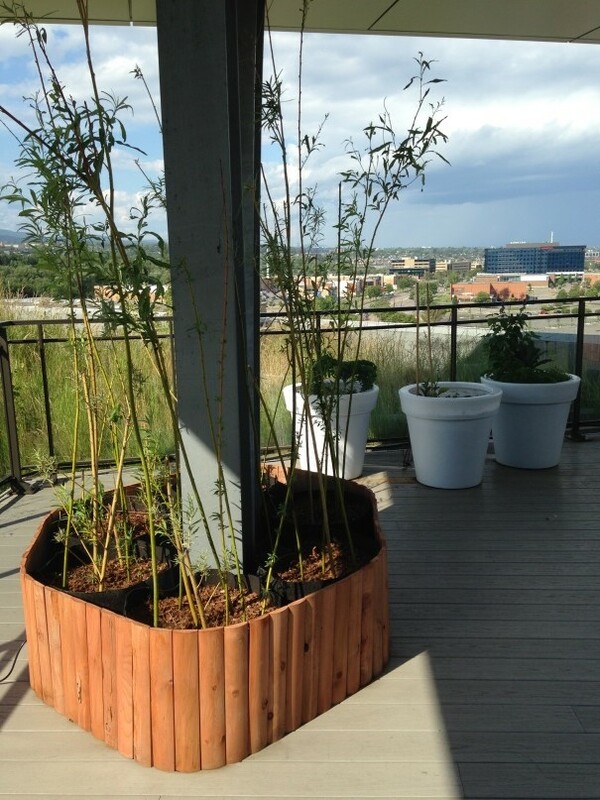 More and more businesses are adding green spaces to their roofs or terraces. In addition to the ecological advantages they offer, these spaces foster employee well-being by providing employees with a “natural” haven even if they work in the heart of the city. 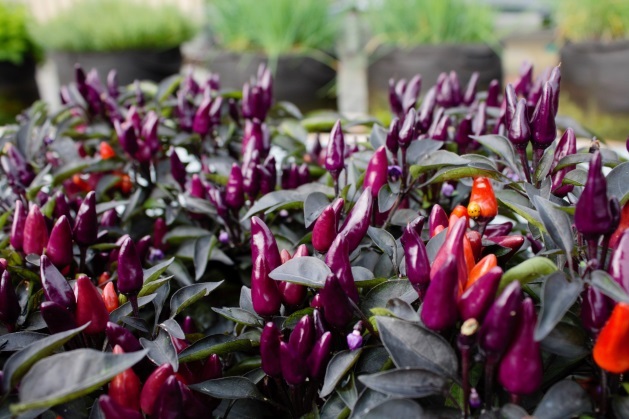 Here’s an overview of the different types of urban gardening. What makes green roofs unique is that they’re a part of the building’s structure. They present energy advantages, improve quality of life, and even offer an alternative to commercial produce sourcing. In short, the virtues are many. 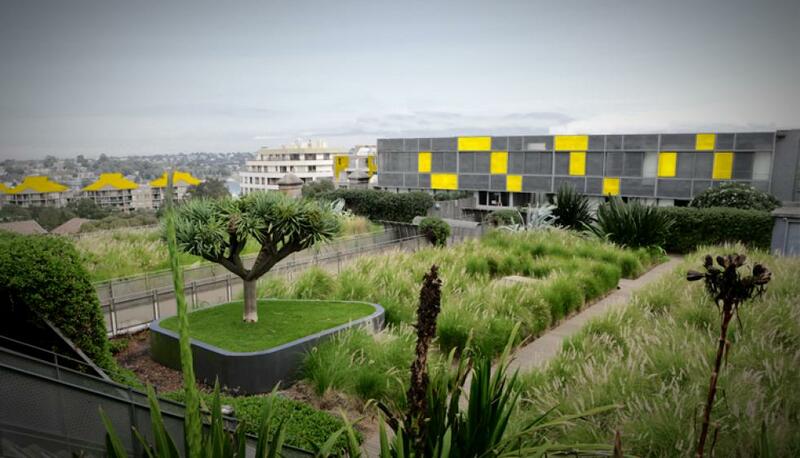 Nevertheless, you’ll need to consult an expert before setting up a green roof, because a number of factors must be taken into account, such as building specifications. 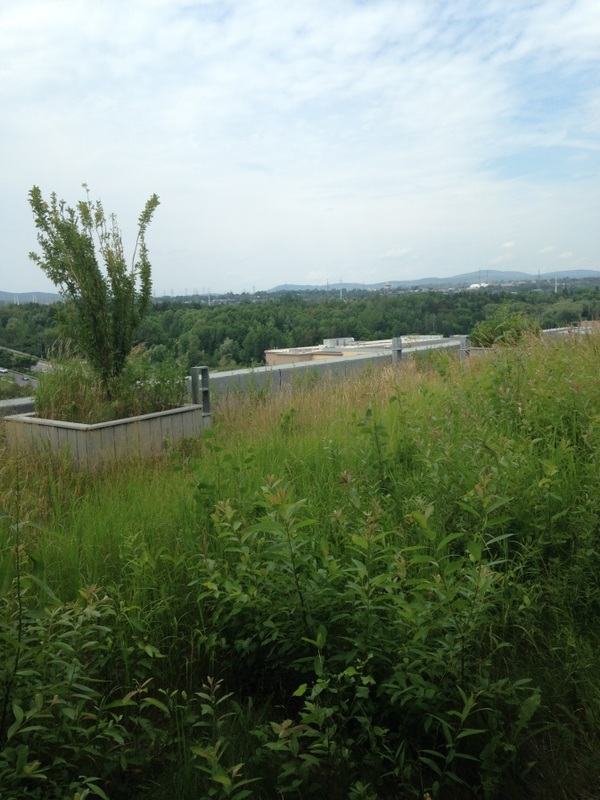 Green roof upkeep also requires special attention, especially with the Québec climate. Promutuel Insurance has been a pioneer in this area, having equipped the entire northern face of its building with a green roof. 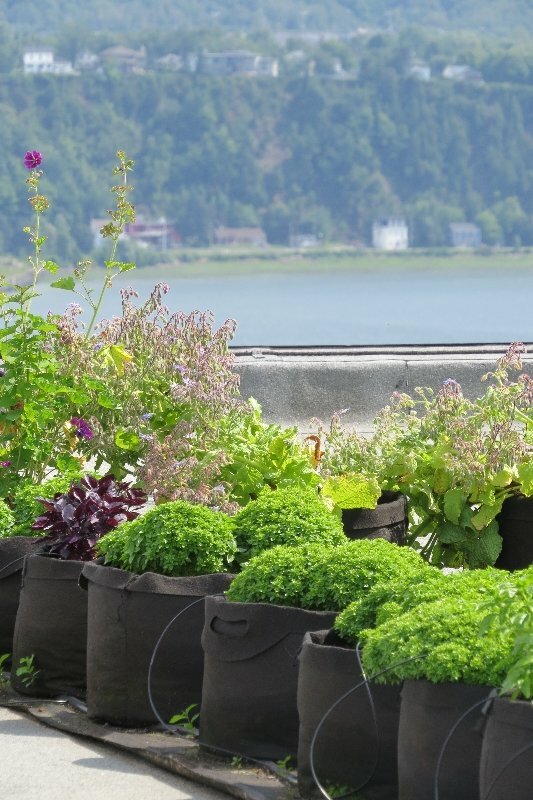 Unlike green roofs, rooftop or terrace gardens consist of plants, flowers, herbs, fruits, and vegetables grown in containers or structures not attached to the roof. 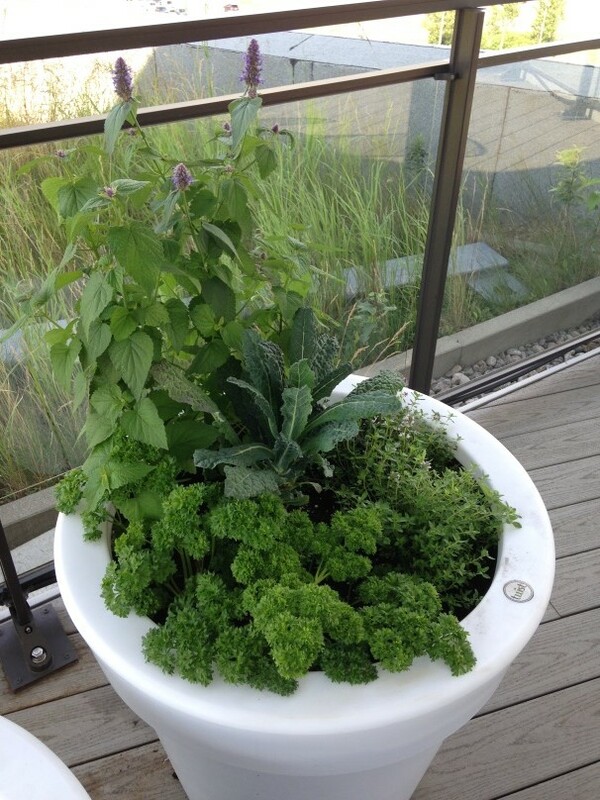 This flexible option is great for small spaces and less expensive than green roofs. 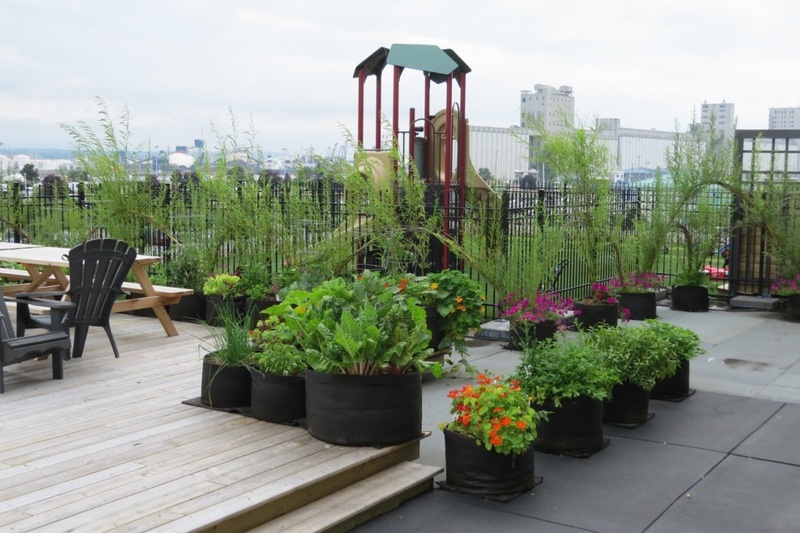 This is the option Promutuel Insurance chose for its outside terrace, developed in collaboration with Urbainculteurs, a Québec City–area social enterprise specialized in urban gardening. Here are some examples of how we’ve gone green! Thanks to Urbainculteurs for the photos!